Have you ever been waiting for a bus only to be showered when an errant puddle and a passing car come together? It happens every fall. When the leaves come down, they have a tendency to make their way onto storm drains and clog up the whole system. The resulting splashes of muddy water can be one of the worst things to have happen, especially after a long day at school or the office. 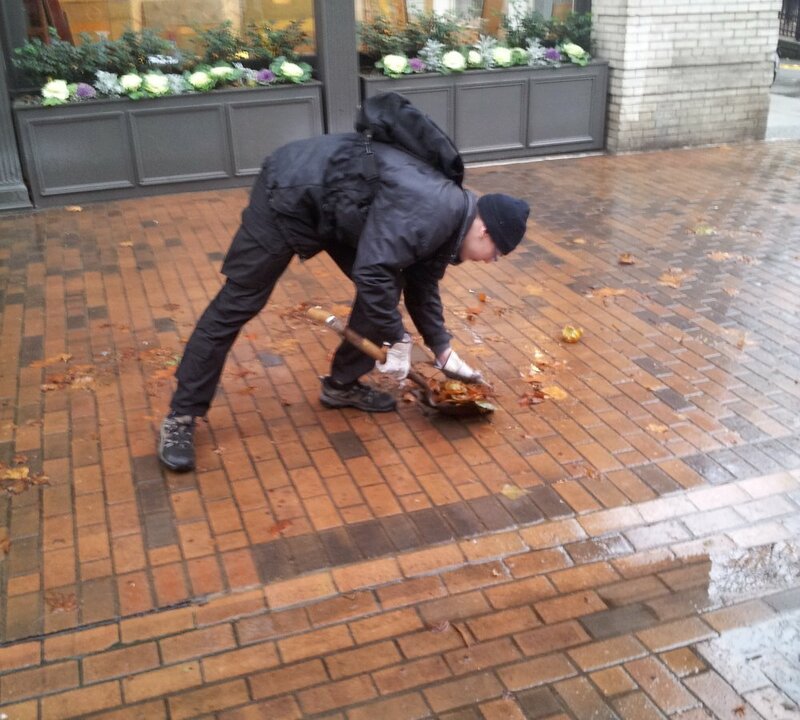 So this year on Black Friday, instead of flooding into the shopping malls, a small group of Cascadians in Seattle volunteered their time to prevent flooding in the streets. It’s not glorious work but, as anyone on the west side of the mountains could tell you, it’s something that needs to be done. So for a couple hours that Friday morning they hit the streets in Pioneer Square and the International District, making sure that drain systems were flowing properly and picking up any other miscellaneous litter they came across. I’d personally like to take a moment to thank everyone who participated. You all proved that a little rain can’t stop determined Cascadians. If anyone is interested in participating in future events or would like some help organizing a cleanup event in their area please feel free to contact me at CascadianEpoch@gmail.com. Are You an Enviromentally-Minded Student? Apply To Be A CascadiaNow! Sustainability Intern!